Can you believe that we are almost at the unofficial start of the summer? Memorial Day is coming up and with it, lots of summertime parties, industry conventions and business events. However, it is also a great time to destroy your reputation with “just one more”. Yes, I am talking about alcohol. Like the holiday parties during the winter, for some reason people let their guards down just a little more as the weather gets warmer. Maybe it’s the heat making you thirsty; maybe it’s the fact that we are dressed a little more casually at some of these events. However, you need to know when to stop. I was recently at a business event where one of the participants got a little too tipsy (read: drunk as a skunk). She became unstable on her feet and a bit belligerent. She was talking too loud and gossiping about things that she shouldn’t have been saying. One of her colleague graciously took her out of the event before it became even more embarrassing for her. Now, I have no idea what happened the next day at her office, but I do know that she will be looked upon a little bit differently than she was before she got schnockered. People may lose trust in her abilities to control herself in the future. Your reputation is a combination of your actions plus what others think about you. What could people, who have never met this woman before, think about her drunken antics? What kind of reputation has she just developed for herself? Your reputation and your brand are intertwined. Damage one, and the other can be damaged as well. 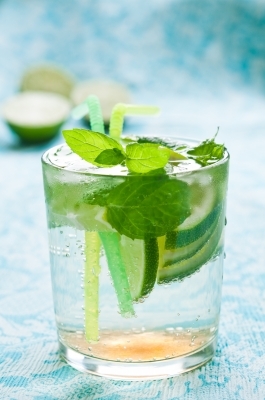 I am not adverse to a drink (or two) at an event – and I am partial to really good Mojitos on the rocks during the summer. But you must know your limit before you limit your chances of success.